A one-owner XF Sportbrake R-Sport Black edition with 67,000 miles & full Jaguar service history in Ultimate Black metallic with black leather trim & piano black fascias. The R-Sport Black benefits from £8,770 worth of added value over standard R-Sport models with equipment & aesthetic enhancements including 20" Black Kalimnos alloy wheels, Black Pack, 770w Meridian Surround Sound system with subwoofer, full bond-grain leather upholstery & 18-way Sports seats with memory function. 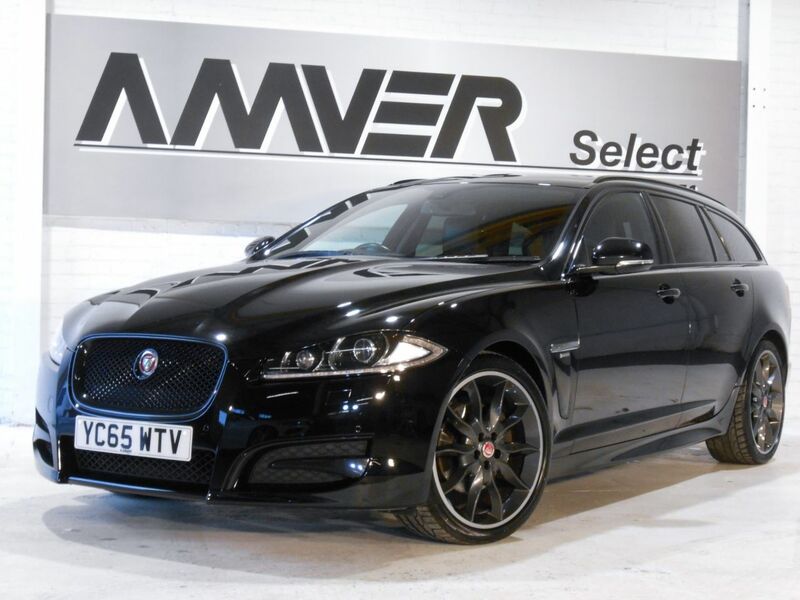 Other highlights of the specification include Winter Comfort Pack with heated seats & heated windscreen, Parking Pack with front & rear parking sensors & rear camera, touchscreen satellite navigation, DAB radio, CD/DVD player, powerfold mirrors, cruise control & 8-speed automatic gearbox with JaguarDrive controls to select between Sport, Winter & Manual modes. On the exterior, dark privacy glass, R-Sport bodystyling with Black Pack details & 20" alloy wheels give the car a very intimidating & impressive look. Just one owner from new with full Jaguar main dealer service history, supplied with complete book pack in Jaguar leather wallet, two keys & six months Momentum Platinum Plus warranty so that you can drive away with total confidence knowing that you are benefiting from what is probably the best warranty cover available in the UK today. We have signed AA's Dealer Promise which means all cars are provided with a full history check & 12 months AA breakdown cover or member upgrade.